The food truck-to-brick-and-mortar trend is running rampant in metro Detroit. Next in line, is Guerrilla Food, which is establishing a permanent carryout location near Detroit’s Palmer Park. Currently, the farm-to-table concept operates seasonally out of an Airstream trailer dubbed the “Pink Flamingo,” but it will soon occupy the former strorefront of a Bread Basket Deli at 17740 Woodward Ave. Owner and chef Meiko Krishok says the carryout spot, named Pink FlaminGo to Go, will offer up grab-and-go salads, quarts of soups, and house-made condiments and beverages. An official opening day is not yet planned for the new location, which is wrapping up inspections with the city in the next few weeks. Once the city’s assignment of the space is complete, Krishok says Guerrila Food will share progress of the space using its social media pages. Krishok started Guerrilla Food in 2011 to serve as an extension to her farm work at Brother Nature Produce. Many of her food truck menu options utilize produce, herbs, and eggs from a number of local farms and suppliers including Food Field, Keep Growing Detroit, and Grow Eastern Market. “I chose to call it Guerrilla Food to evoke the concept of using food as a tool for resistance: against the corporate ownership of food and against societal and individual illness,” reads a quote by Krishok on guerrillafooddetroit.com. Krishok’s culinary philosophy centers on viewing food as medicine, meaning that she only prepares nutrient-dense, mineral-rich, seasonal plant-centered meals. Patrons can look forward to a nettle and radish top coconut curry soup as well as a curry asparagus soup for spring. Guerrilla Food also serves up more than just healthy quick bites. For those looking to embrace wholesome eating, Krishok offers in-home private cooking lessons that verses her students in a variety of nutrient-dense ingredients. She tailors her sessions to each participant’s food needs and interests. Guerrilla Food also caters. Their menu for a sample informal breakfast includes their cardamom walnut granola with yogurt and fresh fruit and gluten-free pear and walnut muffins. Lunch and dinner selections are also offered, along with catering for weddings and large parties. 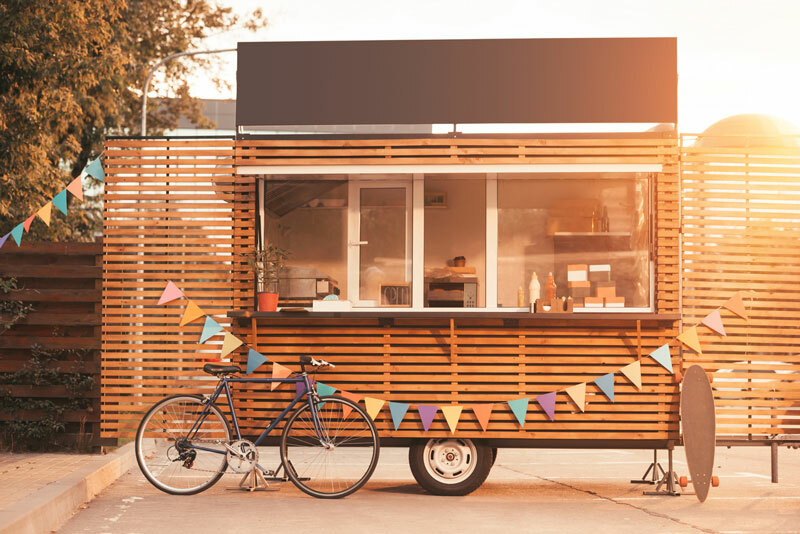 What food trucks turned brick-and-mortar restaurants are you loving? Tell us in the comments below.